Ravenna's powers are based on the legend of Erszebet (or Elizabeth) Bathory, a seventeenth century Hungarian potentate, who allegedly consumed and bathed in the blood of murdered young girls, in an attempt to rejuvenate herself. 228 of 230 found this interesting Interesting? Charlize Theron said that the hardest thing for her was walking in the dress she wore when she married King Magnus. The corset was incredibly uncomfortable, and she was almost hunched over by the time she made it to the altar. 167 of 169 found this interesting Interesting? The drops of blood at the beginning of the film are drops of real blood from director Rupert Sanders. Sanders felt the fake blood looked too unrealistic, so he pricked his finger to get the shot he wanted. 234 of 238 found this interesting Interesting? Charlize Theron tore a stomach muscle while shooting a scene which required her to scream very loud. 220 of 224 found this interesting Interesting? During filming, Kristen Stewart accidentally punched co-star Chris Hemsworth in the face, giving him a black eye. That take is used in the film. Rather than using a wig, actor Sam Spruell's real strawberry blonde hair was cut and styled into Finn's distinctive pageboy haircut for the duration of filming. It was bleached, cut, and his hairline was shaved back under the fringe (bangs). He describes it as "fine for the film, but horrible for civilian life." The last film of Bob Hoskins before announcing his retirement and passing away two years later. Rupert Sanders' insistence on realism in scale, meant minimal miniature model work. The huge castle in the enchanted forest, for example, took six months to construct. The gigantic trebuchet, consisting of a metal skeleton interior and wooden exterior, weighed 6.5 tons. Kristen Stewart admitted while filming the fight scenes, she had to overcome a fear of horses, dating back to a mishap at nine years old, in which she sustained a fractured elbow. This is one of the very few film versions of the Snow White tale where most of the dwarfs aren't played by actual dwarfs, but rather uses technical tricks to make the actors appear smaller in size. 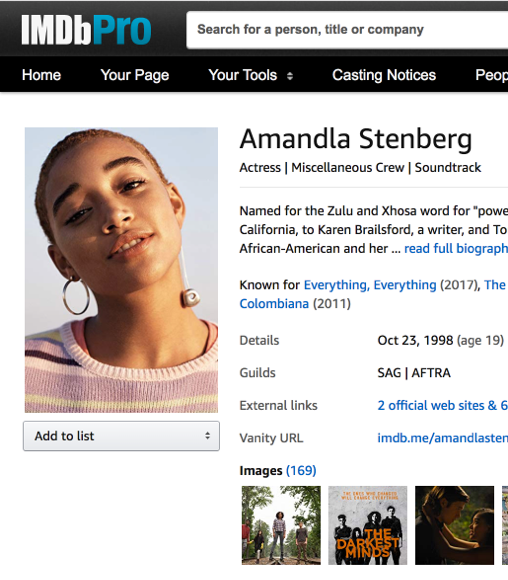 This caused some heavy criticism from little people in the trade, like actor Warwick Davis, who publicly compared this to someone attempting to "black up" a white actor for a role as a black character. 204 of 214 found this interesting Interesting? Evan Daugherty cited Hayao Miyazaki's Princess Mononoke (1997) as the main reference and inspiration for the film. The white stag that Snow White encounters in Sanctuary is a direct nod to Miyazaki. The horse Kristen Stewart rides is this movie was the same horse Russell Crowe rides in Robin Hood (2010). Lily Collins auditioned for the lead role but lost to Kristen Stewart. She was later cast in the other Snow White movie released that year, Mirror Mirror (2012). 137 of 144 found this interesting Interesting? Four months prior to the film's shooting, Kristen Stewart learned how to ride horses and use an English accent. Durham Cathedral, in the north of England, was one of the key influences for Ravenna's throne room. Production designer Dominic Watkins traveled the length and breadth of England, visiting all the main cathedrals in the country for inspiration. Universal Pictures decided to drop Kristen Stewart from the sequel "Snow White and The Huntsman 2", due to the scandal of Stewart's affair with Rupert Sanders, and instead of a sequel, Universal Pictures decided to focus on, and develop, a spin-off following The Huntsman. Kristen Stewart said she had little trouble with Snow White's slightly aristocratic English accent, with the exception of the prince's name, "William." 94 of 100 found this interesting Interesting? Production of the film was temporarily shut down in October 2011 after Kristen Stewart tore a ligament in her thumb during an attack scene with the dwarves. Stewart also suffered from a foot injury sustained on set. Sam Claflin, Chris Hemsworth, and Sam Spruell all attended stunt camp for two months prior to filming, in order to learn how to fight properly on-screen. Angelina Jolie and Winona Ryder were considered to play Ravenna, the Evil Queen. Kristen Stewart had an affair with Rupert Sanders during the making of the film. When the scandal broke, Stewart's boyfriend, Robert Pattinson, moved out of their Hollywood house, while Sanders' wife, Liberty Ross, who appeared at the start of the film as Snow White's mother, eventually instigated divorce proceedings. For months, Viggo Mortensen was in talks to star as the Huntsman, but negotiations fell through and Mortensen dropped out. 82 of 89 found this interesting Interesting? Johnny Depp, Tom Hardy, and Michael Fassbender were considered to play Eric, The Huntsman. 105 of 119 found this interesting Interesting? Dakota Fanning, Saoirse Ronan, Riley Keough, Alicia Vikander, Bella Heathcote, Selena Gomez, Emily Browning, Lily Collins, and Felicity Jones were considered for the role of Snow White. The end credits state, "This film is dedicated to Little Eira White." In Welsh, "Eira" means snow. First time Rupert Sanders was the only helmer considered by the production team. The day after being contacted by the studio, Sanders had assembled some mood boards which he presented to them to give them an idea of how he wanted the film to look. He was then given a week to put together some shots. When Universal saw what he had achieved with this, they green-lit the film immediately. Ravenna is also the name of an Italian city south of Venice, rich of precious architectural Byzantine art. The city was home to Italy's national poet, Dante Alighieri, and was the capital of Italy in the fourth, fifth, and sixth centuries. To an Italian audience, this name may not sound as dark as it was meant to. After Viggo Mortensen passed on the movie, the role was offered to Hugh Jackman, who also declined. 73 of 87 found this interesting Interesting? The screenplay for this film was featured in the 2010 Blacklist, a list of the "most liked" unmade scripts of the year. The directorial debut of Rupert Sanders. The seventeenth biggest grossing film of 2012. Alice Englert auditioned for the role of Snow White. Originally, the script followed the Disney version, and had the Wicked Witch give Snow White the poisoned apple. However, Rupert Sanders felt that was too standard, so the idea of Ravenna disguising herself as Prince William was hatched. Snow White rallies the troops before the final battle. This scene "borrows" iconic images of both sides of England and France's wars in the early fifteenth century. Her words paraphrase what English King Henry V allegedly said to rally his troops for battle at Agincourt in 1415, as speculated by William Shakespeare. Her appearance is based on the French commander Sainte Jeanne D'arc (Saint Joan of Arc), who turned the tide during the period of 1429-1431. WILHELM SCREAM: When William shoots down one of the castle soldiers off of a bridge during the final castle battle, the soldier screams a Wilhelm scream as he falls. Oddly enough, William is a translation of Wilhelm. The Huntsman's name is revealed near the beginning of the movie when he is being torn from his mother, you can hear her scream "Eric".